WHY ?? This copy was still sealed in its original shrinkwrap – factory-sealed, as collectors say. 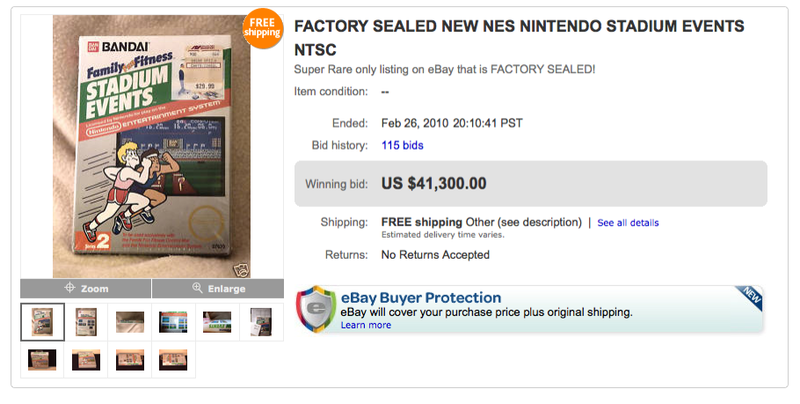 There are only two sealed copies of Stadium Events in existence, which sent the price of this soaring. It even has its original Richard Gordman $29.99 price tag.